Time continues to fly by! How is it already May? Speaking of time flying by, I have officially started my fourth year of dental school! Eeee! It’s a bitter sweet excitement really. Bitter because I have met so many great people in dental school and I am not quite ready to say goodbye, but so so sweet as I have worked so hard to get here. Well… good thing I dont have to deal with these mixed emotions for another year… we’ll just tuck them away for now. Enough being sentimental and on to a delicious meal! This is a great crockpot recipe that I have made a couple of times now! I love that all you have to do is throw all the ingredients in the crockpot. 1. Place all of the ingredients in the crockpot. 2. Cook on low for 7-8 hours or on high for 4 hours. 3. Shred chicken and place back in the crockpot for 30 minutes. 4. 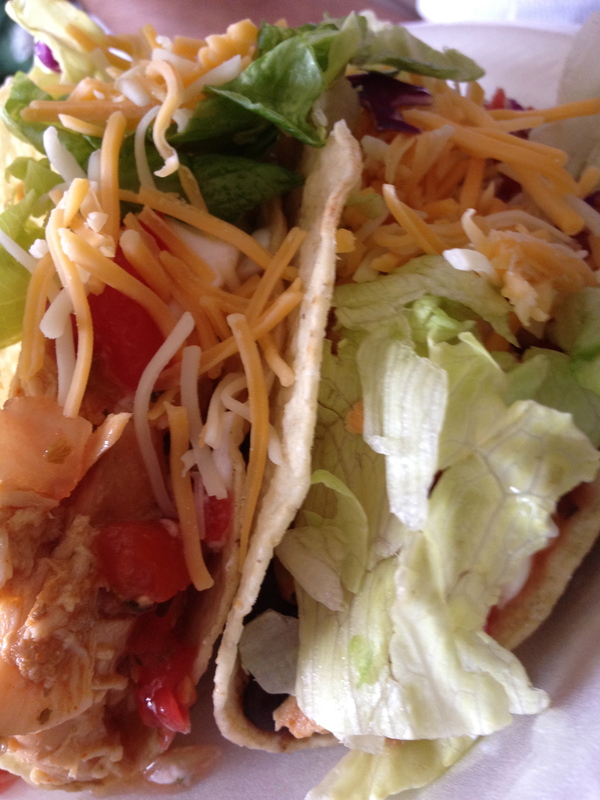 Serve on hard or soft tacos with shredded cheese, lettuce, tomato, and sour cream.